WiggleBums wants to be your one stop shop for all your cloth diapering needs, but we are well aware that their are other needs some parents have that they cant easily fill. So we have scoured online and found some valuable and varied resources for your use! We know being a pregnant or new mom is a twenty-four hour job. Scary and exciting, all at the same time. The NESTLÉ BABY™ Program is designed to give you the information and support every mom needs – through every little baby step — from the start. Get ready because this is one adventure you’ll never forget! Nourish your toddler’s growth and development with Enfagrow, a wholesome milk–based nutritional supplement specifically designed for toddler’s 12-36 months. Similac has many formula products. For help choosing the right formula for your baby, please enter your baby's birth or due date. Join the FREE Baby Be Healthy program! I haven't called yet to confirm this by location. Welcome wagon is a great asset to all new parents, its free and available in most areas. Probably the least useful for free items that will help you, but the newsletters will have information. 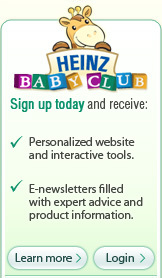 They used to give out a sample of Heinz baby food but not sure if they still do this. There is an customizable menu planner and food journal to help you plan, track and manage the specific nutritional needs of your baby. Useful but at the same time Excel can keep track just as easy without needing to log in. 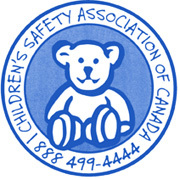 a free safety pack which includes our 32 page Child Safety Reference Manual, "HOT" Stickers - to help prevent scalding accidents, Child Print/Identification Kit(s) - to identify each child and Window Blind Safety Kit(s) - to prevent related accidents. Note: Safety pack is available only in Canada. We have not tried this yet and cannot verify it. MilupaFreebie: Baby spoon, baby cereal, coupons. Get this freebie: Call 1-866-335-9080 and ask for promotional package. The links below do not necessarily describe the belief of WiggleBums and we in no way are advising you do anything below we are merely providing you links that you may find useful. _Finding daycare centres or dayhomes in Canada can be very challenging. Godaycare.com is a daycare listing site that offers daycare and dayhome listings across Canada. Every day child care providers are adding daycares and day homes to our listings. Whether you are looking for child day care spots today or in a few months, we are your best source of licensed and unlicensed child care providers in Canada. Health Canada has organized some very helpful information on Infant Feeding that you can peruse at your own speed. Manitoba Health resources provides some very helpful tips and information. This topic is now one of controversy, we are merely providing an article we do not necessarily agree with any of the comments. It is up to the parent to decide.